From the Herald today, there is an article on a researcher who looked into intelligence and desire for children by women when they were young. The more intelligent the girl, the less children she wanted, apparently. Women lose a quarter of their maternal urges for every 15 extra IQ points they have, according to international research. Using data from Britain's National Child Development Study, Mr Kanazawa studied the links between intelligence and maternal urges in women. He found more of the former meant less of the latter. Even after adding controls for economics and education, the results remained the same - the more intelligent the woman, the less likely she was to have children. Mr Kanazawa published his findings in his book, The Intelligence Paradox, and the research into the number of children compared with IQ was in the chapter titled "Why intelligent people are the ultimate losers in life". He found that the more intelligent both men and women were in their childhood, the fewer children they wanted when they were older. Those who wanted no offspring when they were young had a mean IQ of 105.5, almost 7 points higher than those who did want children. But while the level of intelligence affected whether women reproduced later in life, it did not affect men. 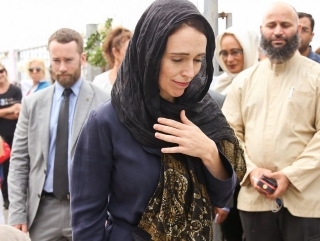 Mr Kanazawa, who lived in Christchurch for a year, said: "More intelligent women have fewer children in their lifetimes than less intelligent women. In contrast, more intelligent men, despite having wanted to have fewer children at age 23, do not actually have fewer children by age 47." And he did not believe that smart women choosing to not have children had anything to do with their desire to pursue academics or a career. The psychologist believed that only childhood intelligence, not educational achievement or earnings, decreased the number of children women had. I think it's got nothing to do with intelligence as such over the long term, it's just a reaction by intelligent girls to the type of society we live in today, and the past few decades, and the impressions those girls have of what they need to do in order to get ahead in life. Right now the messages are to not have or to limit children, and the more intelligent are going to pick up on that, thinking that's the right thing to do. This could have a negative impact on how smart society was. Except that women don't tend to be excessively intelligent. We are typically clustered around the centre of the scale, with very few women being incredibly stupid and very intelligent. Unlike men who are strung out more with a higher number being stupid and also a higher number being intelligent. There far more average intelligent women than there are men as a result. "If more intelligent women have fewer children, and are more likely to have fewer children, and are more likely to remain childless, then one potential consequence is that the average level of general intelligence in society may decline over time." Mensa New Zealand member and clinical psychologist Dr Aloma Parker said the lowering of society's general intelligence was a possibility, but unlikely because research showed traits tended to drift back to the norm. Dr Parker has an IQ of above 133 and is in the top 2 percentile. She also has two children. But she agrees that smarter women do have a tendency to have fewer children, especially since the advancement of birth control. Following on, would they then say that the more children a woman has , the lower her IQ?.... What is that saying that says something about statistics and lies? Theoretically, yeah. Though of course there are always exceptions. Another example of a study that the result was a foregone conclusion. Another example of working backwards from the conclusion.Imagine the outrage if the headline was the opposite? Highly unlikely to be printed in a controlled society. "it was more important for women to be productive workers"
Yes, as desired by comrade Lenin and others. His interview with Clara Zetkin is quite revealing. And of course, here's a surprisingly intelligent headline from the UK "Those with higher intelligence are less likely to believe in God claims new review of 63 scientific studies stretching back decades". Actually, I think that they erred somewhat in that these (educated) researchers have analysed available data going back a few million years.You gotta love it were it not so tragic. Yes, the inference being that it's smart not to believe in God. Being at the upper end of the scale myself, I can say that I think that the more intelligent tend to question and explore more. However, they are not immune to propaganda (as that works on the worldview rather than knowledge as such), and they tend to be far more prideful and reliant on their own abilities (pride being the sin that led the Angel of Light to fall). This means than an unguided intellect is in far greater danger than it realises. So, what would you define as intelligence or intelligent? Also, as A Catholic, would you suggest that many, if not all the (women) saints are/were intelligent? Sorry Mzala, I didn't notice your comment until now. Well, intelligence is to do with the intellect. Sainthood is to do with the will and the ability to love. While a saint could be both incredibly intelligent and possessing of an amazing strong will that is directed towards the good, I think only the latter is necessary for saints. I don't know if most women saints were intelligent or not, as the test for that would be not necessarily theological, but to do with logic and understanding of the material world.